A range of bedside cupboards and bedside drawer units. Available as highline bedroom units, drawerline bedside units or as bedside drawer units. 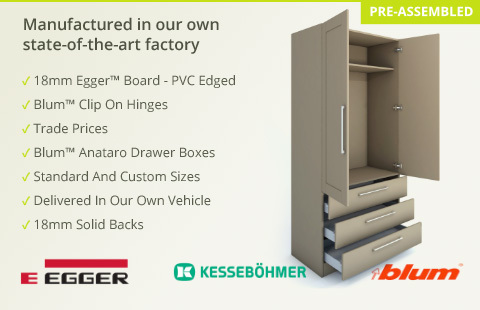 Drawer boxes are now supplied as soft close Blum Tandembox drawer boxes and runners as standard. Doors and drawer fronts are available from our bedroom doors and drawer fronts section.